Instructions: Start Access. If you are using the Microsoft Access 2010 Complete or the Microsoft Access 2010 Comprehensive text, open the Babbage CPA Firm database that you used in Chapter 3. Otherwise, see your instructor for information on accessing the files required in this book. 1. 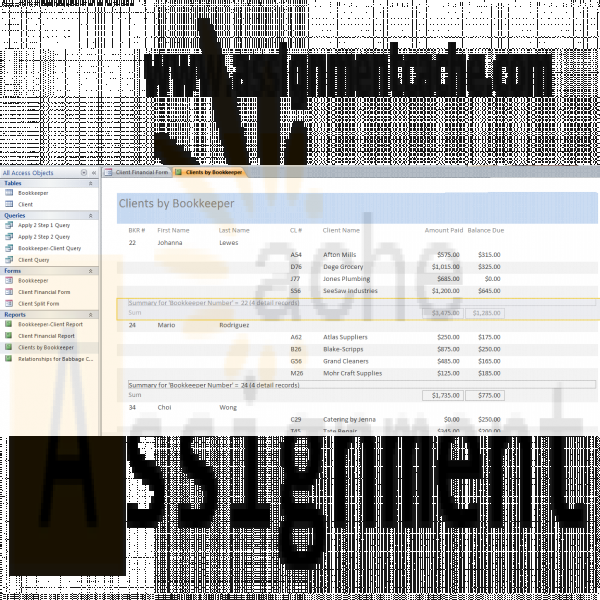 Create the Clients by Bookkeeper report shown in Figure 4–75. The report is grouped by bookkeeper number and sorted by client number within bookkeeper number. Include totals for the Amount Paid and Balance Due fields. Change the orientation to landscape. 2. 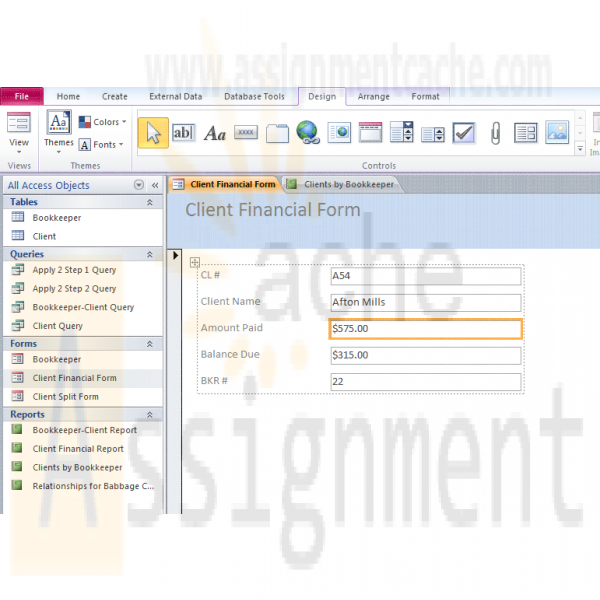 Create the Client Financial Form shown in Figure 4–76 for the Client table. The form includes the current date and is similar in style to that shown in Figure 4–3 on page AC 212. 3. Submit the revised database in the format specified by your instructor.